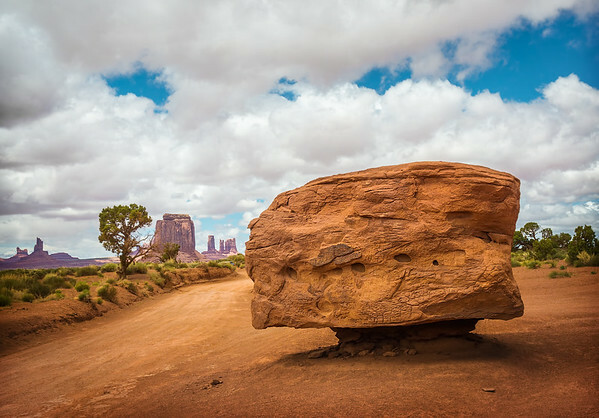 The Monument Valley is not part of the National Park System. It is a part of Navajo Tribal Park and as the result, it is less developed and not as well maintained as most of National Parks. 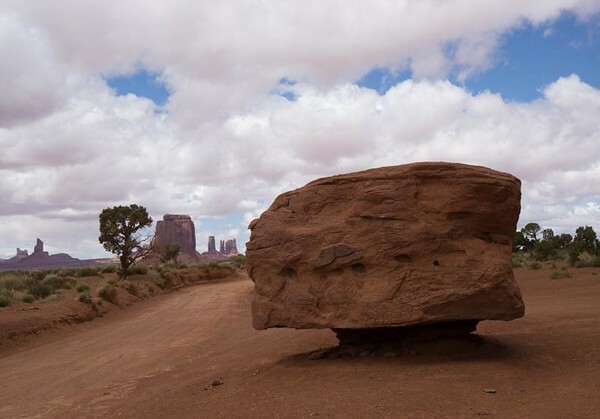 I came across this rock on the side of the road while driving the dirt roads of Monument Valley 17 miles loop. When I tried to find any information about this beautiful rock and if there was any interesting story behind it, I could not find anything, not even a name. If somebody knows more about this spot, please let me know. It was a simple and uncomplicated shot. I used a tripod and took 3 bracketed shots. I used the Natural preset from my Landscape Collection first and after I used TOOLKIT to boost colors and contrast. Photoshop: color correction, contrast, cleaning. I used the Stamp Tool to clean up foreground.